Most fruits primarily consist of carbohydrate, but avocado is rather a unique type of fruit that is high in nutrients and healthy fats. It is a creamy and buttery fruit grown in warm climates. Avocado is one of the best foods that someone can consider even though it has high levels of fat and calories. Numerous studies have shown that this fruit has powerful beneficial effects on health of the body. Many people eat this fruit, but they do not know its health benefits. However, this article will exclusively explore on top 10 health benefits of avocado. The fruit contains two phytochemicals known as zeaxanthin and lutein that are necessary to the overall health of the eyes. These two carotenoids are very important because they help in protecting the eyes from harmful light waves and reduce the risk of eye disease. Avocado has monounsaturated fats that are very important in improving the skin tone. The epidermal layer of the skin retains good moisture levels that make the skin look soft and healthy. The oil of this fruit can treat several skin conditions such as sun damage and dry skin since it works as a natural skin moisturizer. In addition, omega fats present in avocados help in reducing irritation and redness of the skin and promote the natural process of the body in repairing damaged cells. However, using avocado regularly will maintain the skin’s firmness and elasticity since it reduces signs of aging and improves the production of collagen. Studies show that avocados contain 25 milligrams per ounce of a natural plant sterol called beta-sitosterol. However, eating avocados reduce the chances of getting heart diseases because consuming beta-sitosterol helps in maintaining healthy cholesterol levels. The fruit contains vitamin E, which prevents cholesterol oxidation. It also contains folate that reduces dangerous homocysteine levels in the blood, and potassium that help in regulating the pressure of blood. Eating avocados can help to prevent the occurrence of cancers in the skin, mouth, breast, and prostate gland. The fruit has anti-cancer properties that improve stress levels of oxidative and inflammatory. The oleic acid in the fruit is also effective in preventing breast cancer. Eating foods with natural fiber prevents constipation thus maintaining a healthy digestive tract and lowering the risk of colon cancer. However, avocado is high in fiber despite its creamy texture and eating it regularly will improve the digestion. 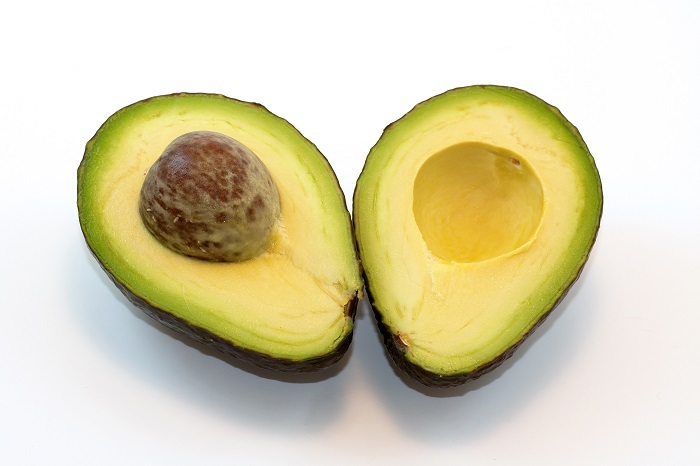 The high content of folic acid or folate in avocados can be very useful in protecting the unborn baby. For the pregnant women, eating this fruit is very important since it helps the brain and other vital organs to develop in the fetus. It also prevents birth defects such as spina bifida and neural tube defect. Avocado is one of the top brain-healthy foods due to its high content of vitamin E and omega-3 fatty acids. Vitamin E prevents the progress of Alzheimer’s and even reverses its symptoms at early stages. On the other hand, omega-3 fatty acids keep the brain healthy by improving its blood supply. Therefore, people suffering from Alzheimer’s benefits by eating this fruit regularly. Monounsaturated fatty acids contained in avocados are likely to be stored as slow burning energy rather than fat. Therefore, people who want to lose weight should consider eating avocado every day since it makes someone to feel satisfied and full after eating it hence helping to keep hunger at bay. The high amount of soluble fiber found in avocados helps in improving the control of blood glucose. The fruit is a low glycemic index food and contains oleic acid that is beneficial on the sensitivity of insulin. The monounsaturated fats are also important since they reverse or prevent insulin resistance, which is a major factor contributing in type 2 diabetes. Notably, many important vitamins are fat-soluble and they actually need fat for them to be absorbed into the body. These vitamins include vitamin D, E, K, and A. Therefore, it is important to add avocado to any meal since it helps the body to get all the vitamins present in the meal.